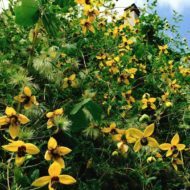 Home / All BambooPlants.ca / Physocarpus opulifolius ‘Dart’s Gold’. 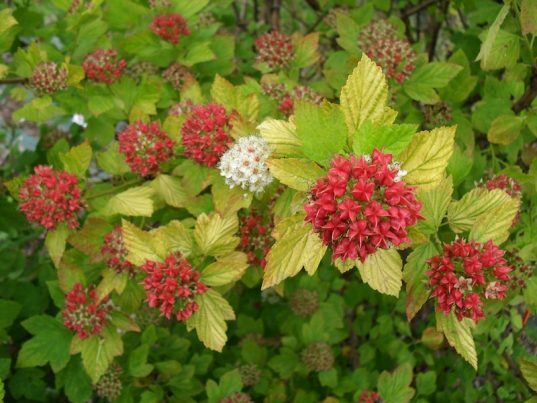 Native to North America, Gold leaf Ninebark is an upright, spreading, somewhat coarse, deciduous shrub noted for its exfoliating bark. 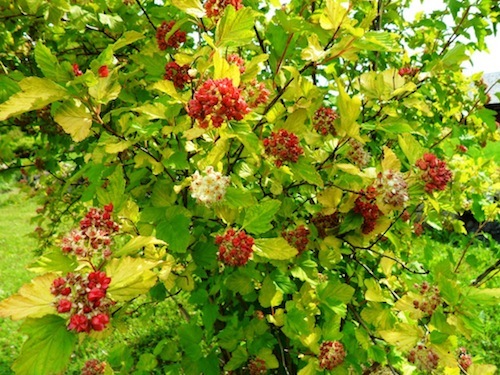 On mature branches the bark peels in strips to reveal several layers of reddish to light brown inner bark (hence the common name of “Ninebark”). 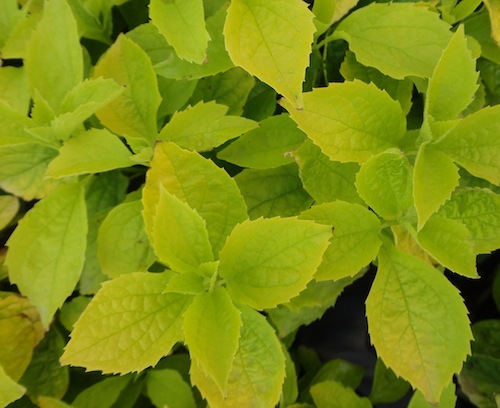 Grown for its attractive golden yellow foliage. 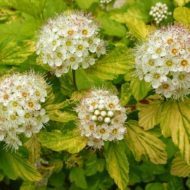 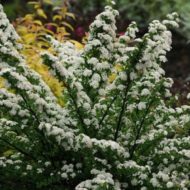 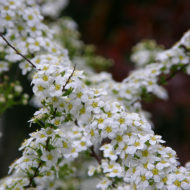 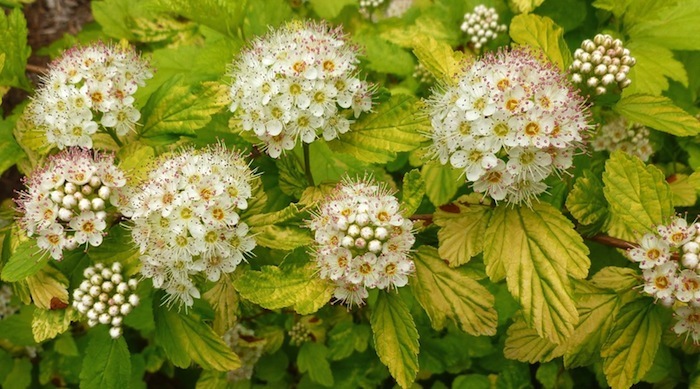 Features small pink or white, five-petalled flowers appearing in dense, flat, rounded, spirea-like clusters May-June. Flowers give way to drooping clusters of reddish fruit. 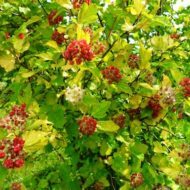 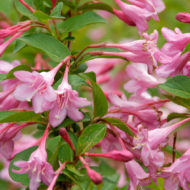 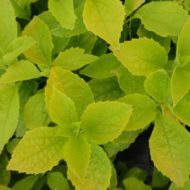 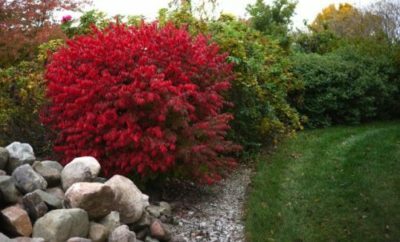 This deciduous shrub grows to 10 ft in height and width, working well as a specimen or hedge.